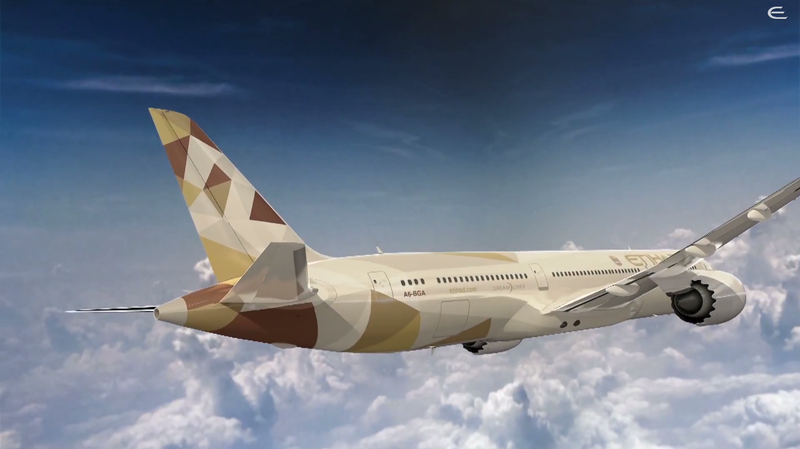 We covered the A380 roll out for Etihad a few days ago, but their quick succession in rolling out their 787-9 colours shows the world how the livery transposes onto more regularly-shaped airframes. 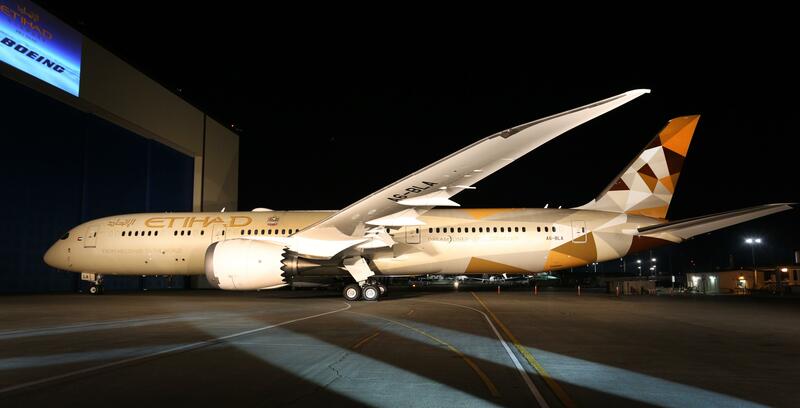 Last night the airline revealed their new 787-9, a proportionally more aesthetic aircraft, with a tail that has been circulating on social media for a few weeks. 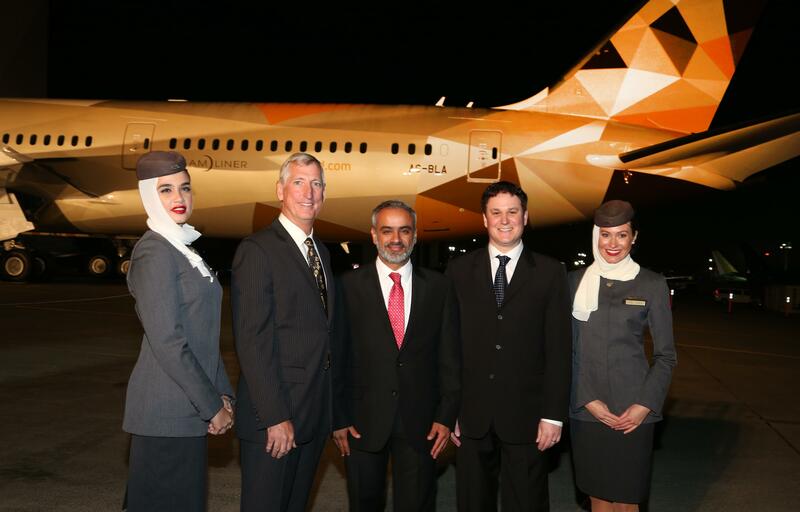 Whilst on the whole, the ‘Facets of Abu Dhabi’ livery is coherent and we stand by our original comments, there are a few details on closer inspection we feel slightly uneasy about – highlighted by this 787 aircraft. This is to do with the scaling of the fragmentation around the emmpenage (tail) section of the aircraft. The scale of the prism shapes on the tail fin seems perfectly proportional to the aircraft, yet the triangular pattern on the fuselage, seems over sized, and ‘dragged’ out along the length of the aircraft. However, there are some key points to remember such as eye-line. 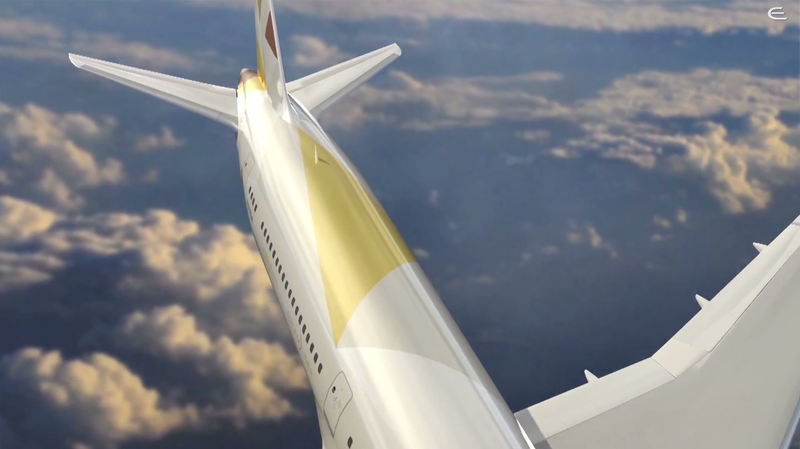 Most passengers using Etihad will view the tail section from a very specific standpoint, usually at a similar level, or higher than the ‘window’ keel-line of the aircraft, and secondly, usually from the front as most aircraft point nose in to a terminal. 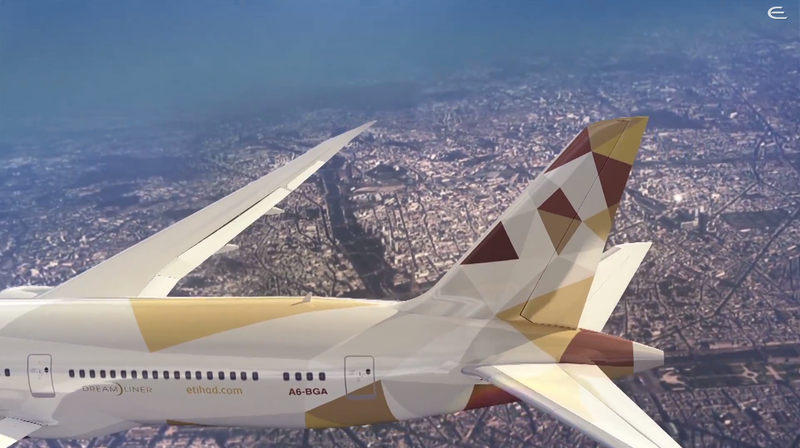 This will distort the visual impression of these triangular shapes on the fuselage, they will appear ‘squatter’ and more in keeping with the tail graphic. So it is perhaps too early to tell whether this graphic element has worked or not. Considering Landor’s long standing past in livery design, it is safe to say, this is an element that has been considered. Our other detail that unsettles or visual acuity, is that of the colours on the fuselage and tail section seemingly differing in colour (yet in the artists impressions above, they don’t). The tail utilises deeper darker colours and the designers have tried to fade it into the almost pearlised fuselage colour, however there is a clear line of contrast between tail and fuselage, and also the colours on the fuselage, (perhaps due lighting or optical illusion) seem to differ from those on the tail, although only slightly, as if by error, rather than design. This could be a drawback from the construction process of the 787, where elements are built all over the world and then brought together for final assembly. These are just small points. Weighing up everything, the elements we really love far outweigh the ones we don’t. Did you know the design wasn’t fully symmetrical? Impressively they have managed to design a fully geometric pattern around a curved and cylindrical shape, and anchor it to a flat tail design. This is vastly more difficult than it may seem, and tying in a non symmetrical pattern just makes the whole process harder. The design, whilst similar to JetBlue, has a timeless and easily identifiable look. There would be no mistaking that this design on the tail could be associated with any other airline. No mean feat when up against a couple of hundred other mainstream commercial carriers. 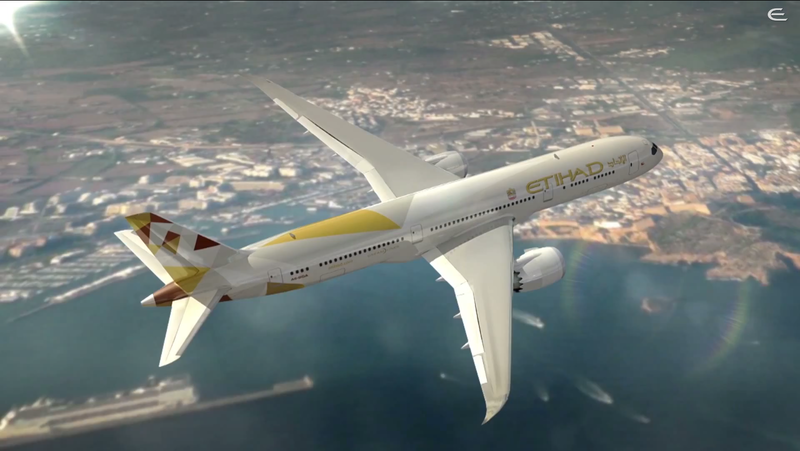 The typeface of Etihad, is a logo, and has been honoured as such, there has been no desire to change the typeface, with it’s curved, almost ‘Art Nouveau’ feel. 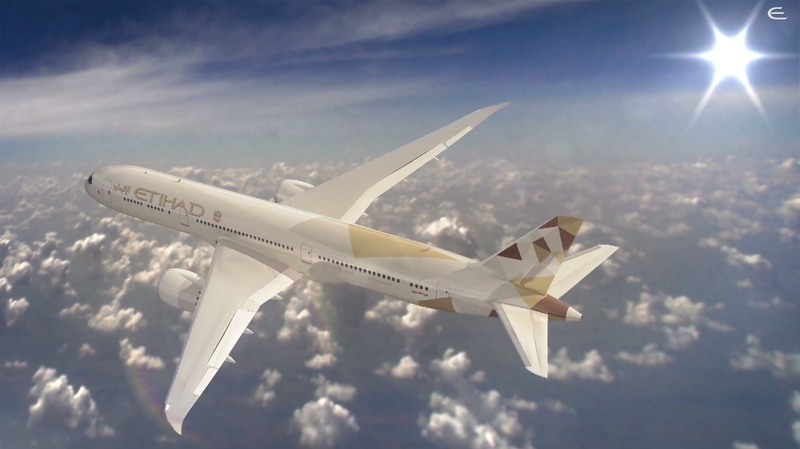 The sign of a good logo is one that will stand the test of time, and whilst at odds from the sharp crisp design of the tail design, it stands boldly at the front of the aircraft, and for such a young airline, shouldn’t be chopped and changed, as it grows as a familiar brand around the world. The logo has also been downsized, and positioned forward of the wings, it’s a quieter, more ‘sophisticated’ move. Within design, a usual rule can apply here. The smaller the logo, the more prestigious the brand. We look forward to seeing more photos from passengers from gates, as that will give us the best indication of how we as consumers will truly see these beautiful birds, so please, do send us your photos! While attractive, this new livery is, in my opinion, the weakest of the ME3 carriers. Personally, I think its one of the strongest. I like that its the opposite of the other two carriers. Its muted and subtle and still retains the very distinct logotype.